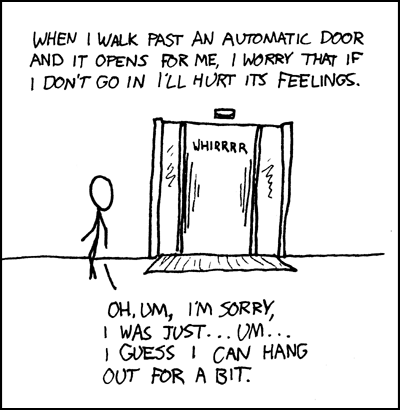 When I walk past an automatic door and it opens for me, I worry that if I don't go in I'll hurt its feelings. <<whirrrr>> Figure: Oh, um, I'm sorry, I was just ... um ... I guess I can hang out for a bit.